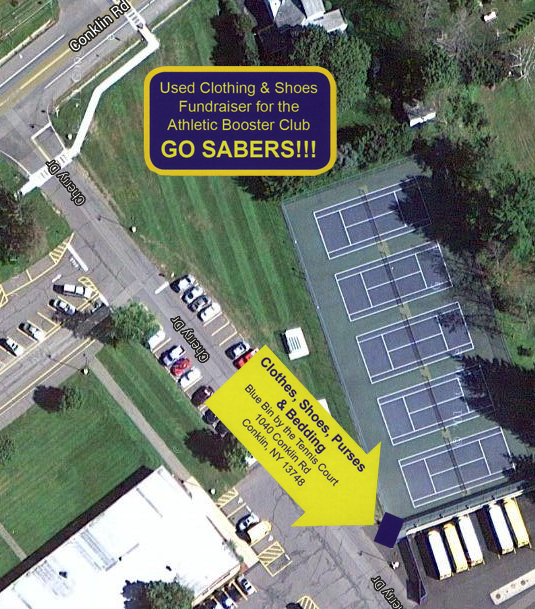 The Booster Club is sponsoring a clothing bin, located at SV High School on the pavement between the tennis courts and the bus garage fence. As you are doing your spring (or winter) cleaning, please think about bringing excess clothing and shoes to the bin. The Booster Club will receive a percentage for every pound of clothing collected. and a portion of the proceeds come back to the SV Sabers All Sports Booster Club. shipped directly to you. To get started click on the logo above right. 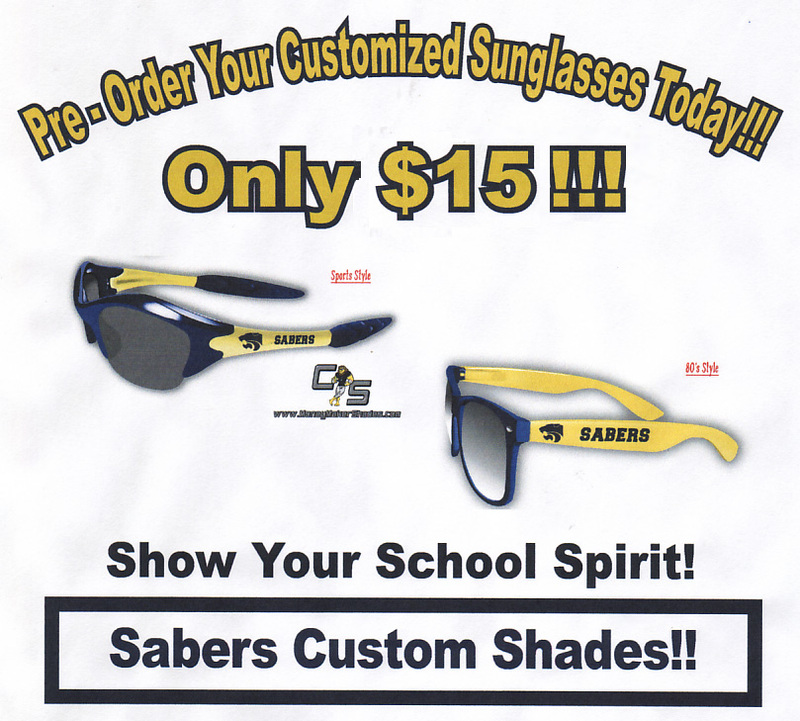 Sunglasses, with our own Sabers logo, are available at concession stand locations throughout the sporting seasons. They are available in two different styles: Sports Style or 80's Style. They are $15.00 a pair and make a great gift idea. To see the designs, CLICK HERE.